The massive spaceship Terra Venture represents mankind's greatest accomplishment. The giant spacecraft hosts multiple habitat domes with diverse environments ranging from a lake to a mountain range - even a dome with a sprawling city inside - as it takes thousands of human pioneers deep into space to settle a new world. Along the way they are stalked by dangerous aliens led by the insect-like villain Scorpius and his daughter Trakeena. Rising to protect the colony ship and its many inhabitants, a team of Power Rangers from different walks of life unites to become the Galaxy Rangers. 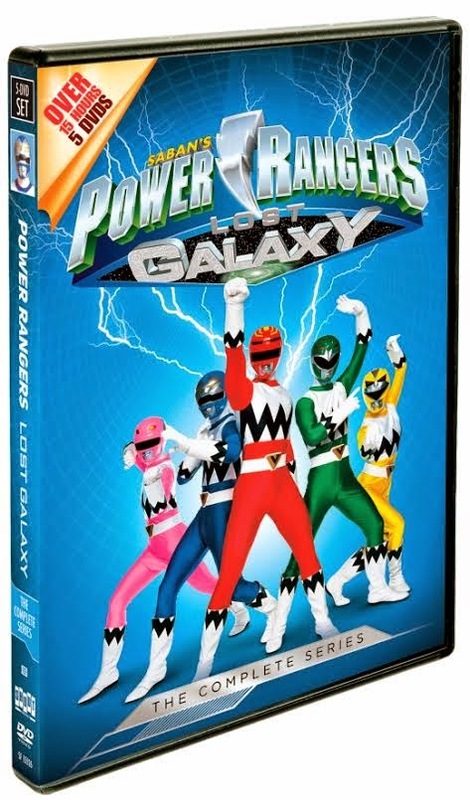 Power Rangers Lost Galaxy: The Complete Series, a 5-DVD box set that contains all 45 episodes of the iconic show’s seventh season. My daughter is a HUGE fan of Power Rangers. When I say huge fan, I mean, she looks up youtube made videos of her favorite Power Ranger couples and watches them constantly. It's pretty impressive how far Power Rangers has come since I was a kid. There has been so many different ones and she has watched them all, except for Lost Galaxy. So when we had a chance to review the complete series of Lost Galaxy, I knew I had to get it. She absolutely loved the series. It didn't take her long to watch at all either. The entire series has over 15 hours and she watched every bit of it. She also was home from March Break and was sick, so that had a lot to do with her finishing it so fast, but she loved watching every bit of it. She loved the way the Power Rangers came together to become the Galaxy Rangers. Disclosure: All opinions are my own. I received Power Rangers: The Lost Galaxy on DVD at no cost for the purpose of this review. No other compensation was received.